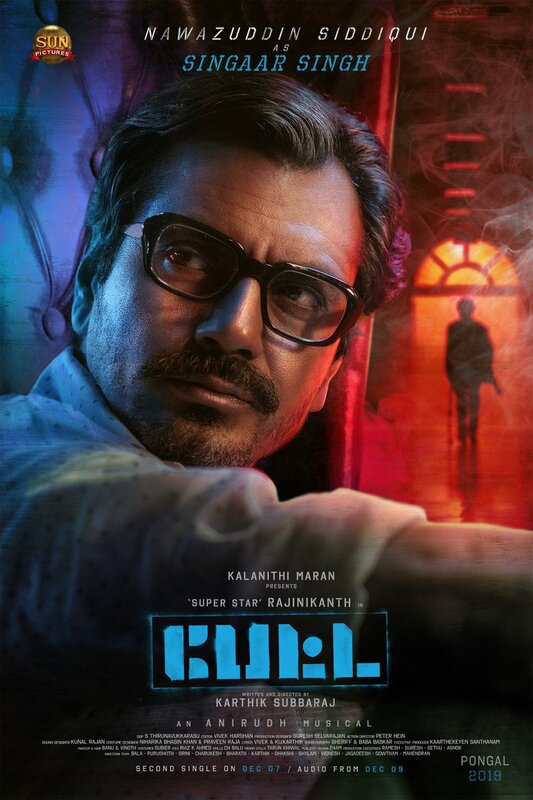 COOL: Nawazuddin Siddiqui's Character Poster From Petta! Karthik Subbaraj directorial venture Petta featuring Superstar Rajinikanth, Vijay Sethupathi, Sasikumar, Nawazuddin Siddiqui, Simran, Trisha, Megha Akash, etc in the lead roles is scheduled to release for Pongal 2019. Sun Pictures production house is doing some big scale promotions both in online and offline. The first song from the movie named ‘Marana Mass’ was released yesterday and it has been creating some terrific records. The listeners have given a superb reception to this Anirudh Ravichander’s musical. The makers announced this afternoon that the character poster of Nawazuddin Siddiqui will be unveiled today (5th December) evening at 6 pm. ‘Singaar Singh’ is the name of Nawazuddin Siddiqui in Petta. The official character poster has arrived, check it out here.